Baruipur is a sub-divisional town of the district of South 24-Parganas situated on the banks of Tolly’s canal at the crossing of Diamond Harbour and Lakshmikantapur between Kolkata and Sunderbans. According to common belief, the name was derived from the word ‘Barui’ which means betel planter. Its geographical location is 20° 30′ latitude North and 88° 25′ longitude East. Baruipur became a sub-division in 1858. Earlier, it was part of a sub-division, which was basically a sub-division created during the British regime for collection of taxes under a collector. The land is bounded on the north by Sonarpur, south by Jainagar, east by Canning and west by Bishnupur. During those days it was well known for its indigo plantation. 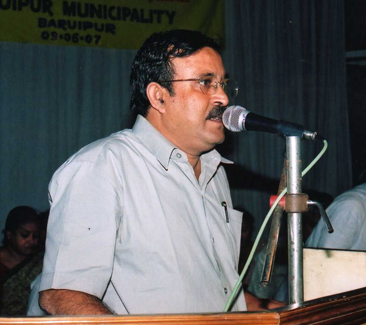 Baruipur municipality covers an area of 9.07 Sq.Km. only. 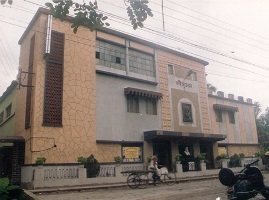 Baruipur Municipality is located at the extreme southern side of Kolkata Metropolitan Area. Railway line has connected this municipality with Kolkata and southern part of South 24 Pgs. Garia – Baruipur Road or Kulpi Road is one of the major roads, which has connected the area with Kolkata and North 24 Pgs through E.M Bye Pass. Other major roads like Madarat Road, Dhabdhabi Road, Canning Road connected the area with eastern part and Amtala Road has linked it with the adjacent western part.